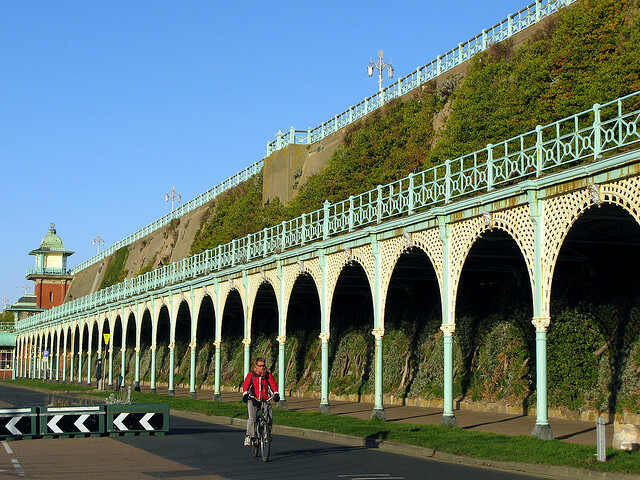 Building Green is very interested in Madeira Drive – ‘Maddy’ – the seafront along East Brighton. Home to unique Victorian engineering, major public events and a great beach, it’s also the greenest part of the seafront in Brighton & Hove, and is home to rare ‘vegetated shingle’ habitat and the longest, oldest green wall in the country. For that reason we think it’s worth special attention, and we will soon post a special page dedicated to this miracle mile (and a bit). 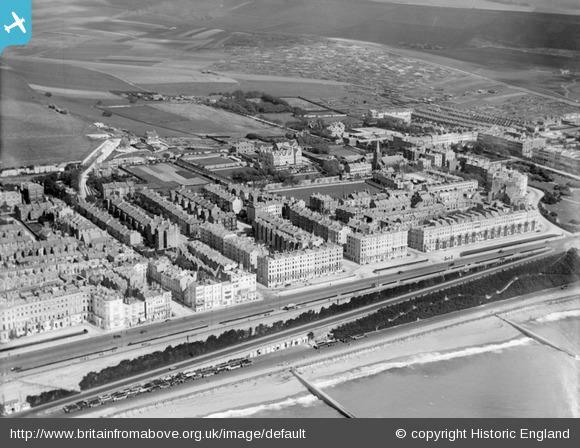 In the meantime, here are some more old photos along Madeira Drive…showing the historic development of the seafront, the planting, the tearooms and lift, and the elevated ‘Madeira Terrace’. Madeira Lift showing the lawns in front and the planting climbing behind the terraces.